How will your family find your will? Did you know that 67% of wills are never found? Not being able to find a will when needed causes unlimited stress, family estrangement, and potential financial loss. The U.S. Will Registry offers FREE registration of Last Wills to ensure that if your Will is lost, misplaced or even not known to have been written, your beneficiaries can easily find it. Lifetime Registration of your Will is easy, secure and remains confidential. 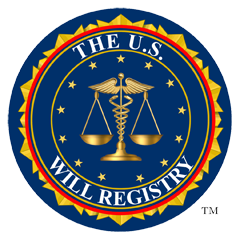 Hundreds of Attorneys, the public, and health officials register and search for Last Wills daily with The U.S. Will Registry. 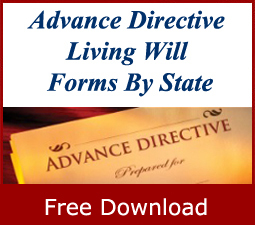 The U.S. Will Registry documents the location (Attorney, Home, Financial Institution, Other) of your will/trust. Once registered, you will receive a certificate to store with your important documents that will inform your family that you are registered. Your registered information is not released until a death certificate is received, and ID is provided to our legal department. 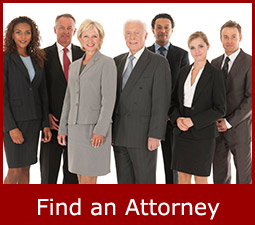 Once verified, the information is then released to an attorney. 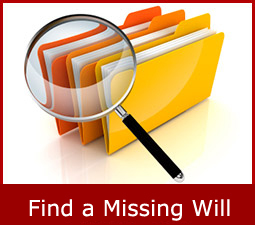 A missing Will is searchable by the name and birthdate of the individual who made the Will. If you are unable to locate a will and need to perform a search of registered wills in our National Database, click here to conduct a Will Registry Search. Registered wills are dated as far back to 1967. 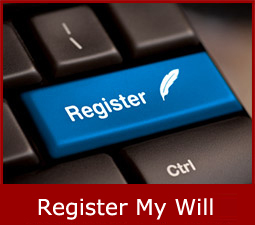 Make sure you (and your loved ones) register your will and estate planning documents with The U.S. Will Registry. This will give you, and all family members, peace of mind knowing your Last Will contents and location remains private, secure and protected as well as accessible when needed.